Just one day after the Houston Astros and the fantasy baseball owners of Carlos Correa lost the star shortstop for pretty much the remainder of the 2017 season with a torn ligament in his thumb, the Chicago Cubs and the fantasy baseball owners of star third baseman Kris Bryant got their own scare Wednesday. Bryant was forced out of the team's matinee with what the team is now officially calling a sprained left pinkie and he is being considered day-to-day. Thus all seems well here but the Cubs will likely have Bryant go under some more testing to make sure there are no fractures that the initial X-rays did not pick up. 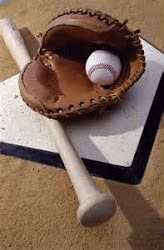 While a finger is such a small part of the human body, an injury there is potentially debilitating for a major league hitter as they often results in monthly stints on the DL. Again the numbers are very solid indeed but are down across the aboard from what Bryant accomplished a year ago when he hit 39 home runs, scored 121 runs, drove in 102, stole 8, and batted .292. Clearly the 2016 numbers were of the video game variety and would be almost impossible to duplicate but Bryant is well down from those rates. Keep in mind though that Bryant is still just 25 and that there are some other factors at work here. Delving into the advanced metrics, there are very good signs here as Bryant has IMPROVED both his K.9 (22.0 in 2016, 19.8 in 2017) and BB/9 rates (10.7 in 2016, 16.0 in 2017). So why has the average fallen? Bryant's BABIP has gone from a quite lucky .332 in 2016 to this year's .302. The .302 mark is average but Bryant has good speed and often players with that skill can be in the .320 BABIP range. So some simply bad luck on the batted ball has hurt Bryant's average some but nothing terrible. Also opposing pitchers are being much more careful throwing to Bryant this season and so his power numbers predictably dropped as they did for Bryce Harper in 2016 when he was coming off his own video game campaign. So in essence, Kris Bryant is doing just fine in terms of his approach and rates. Yes the numbers are down but Bryant is making improvements in the places that he should. He will be fine. In fact if any Bryant owner out there wants to deal him away, I am waiting for the opportunity to get my hands on the kid.